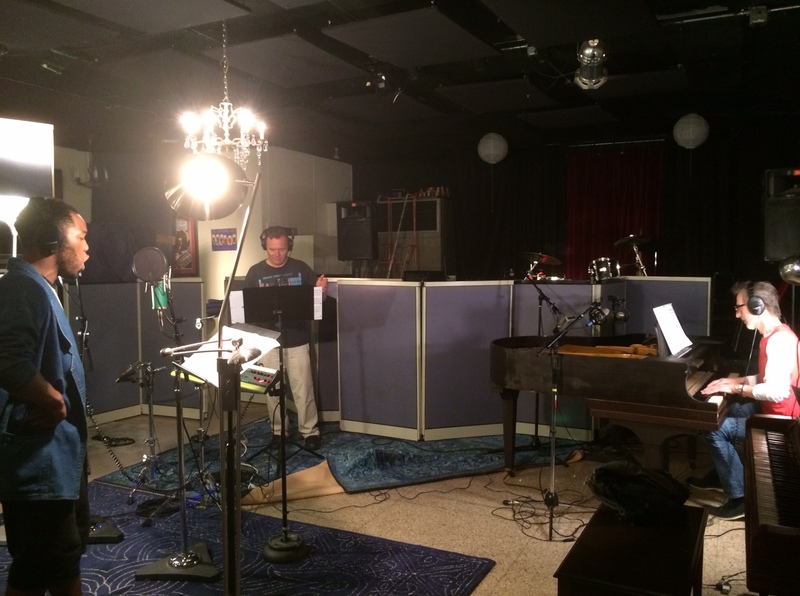 We recorded seven new Gayland numbers last night at Marigny Recording Studios. The session went well; thanks to singers Lesley DeMartin, Cameron-Mitchell Ware, Jason Amos, and Ivan Griffin, with pianist Albinas Prizgintas. In this pic, Cameron-Mitchell Ware brings to life the ever-slippery Gaige, while Scott King covers Zack, and Albinas Prizgintas tickles the ivories. < Gayland 4.0 is done!